We run support groups for families affected by dementia around Ireland. These group meetings are usually held once a month in the evening. Carers are free to attend on a once off basis, as needs arise, or on a regular basis. 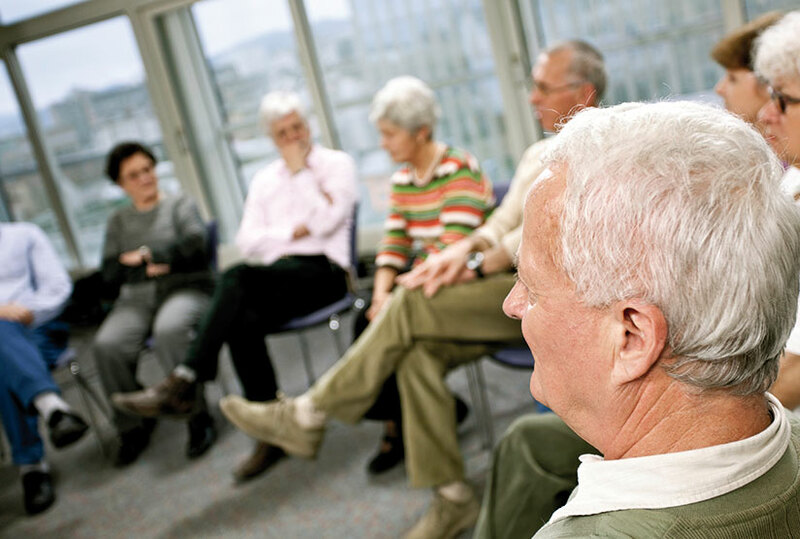 The support groups provide an opportunity to meet others in a similar situation, to share stories and experiences, and access information and practical advice in a relaxed, understanding and supportive environment. We have a support group specifically for families whose loved one with dementia is under 65. People are welcome from any part of Ireland to attend this group, which is held in Dublin. We also have a support group for people with dementia themselves which takes place in Dublin once a month. People are welcome from any part of Ireland to attend this group. To find out where and when your local group meets click the link below to find the nearest support group to you and just call the coordinator of the group. Meets monthly on different days. Please phone to enquire. Meets second Thursday of every month between 7pm and 9pm.